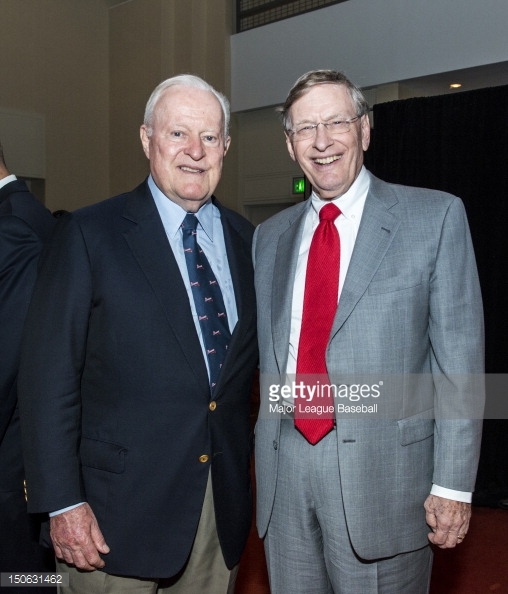 Bill Bartholomay and Bud Selig at the 2012 MLB Civil Rights Game Weekend, hosted by the Atlanta Braves. All smiles for the photo…probably not so much back in the mid-1960’s! 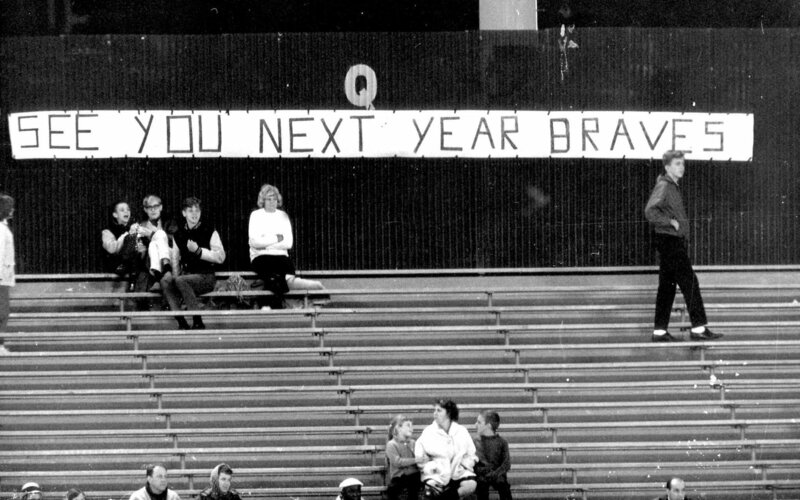 A small crowd for the Braves finale at County Stadium…and a banner that wasn’t correct in predicting the future.